Carolyn Jenkins started her Soul Out Ministry weekly meal for the needy in the park next door to the Baker Community Center this summer. She is a key force in organizing the Thanksgiving Feast set for Nov. 28 at Baker. Since late July every Thursday has been Thanksgiving for Carolyn Jenkins. The retired MATA driver moved back to her hometown of Millington in 2009 after the passing of her husband. As member of New Living Well Worship Center, Jenkins became an associate pastor in Pastor Caroline A.V. Brown’s ministry. Assisting in their food outreach program for several years Jenkins identified a need in the Millington community. Then one day when the retired MATA bus driver was cruising around Flag City, she got even more up close and personal with those hungry residents of Millington. “I was riding around the neighborhoods and I would go to different locations throughout the neighborhoods,” Jenkins recalled. “I saw the need of the people. They would ask me to buy them food because they were hungry. Sometime they would even ask me for money to get themselves something to eat. My heart went out to these guys. That tradition has grown into Soul Out Ministries and a regular meeting in the Baker Community Center. Many longtime Millington philanthropists like grant writer Debra Sigee and Dream Inter Faith Ministry’s Irene Beech took notice. Along with help from the city of Millington, First United Methodist Church’s Food Pantry and many residents, Jenkins’ normal Thursday Meal at the Baker Community will be a Thanksgiving Feast on Nov. 28 from noon to 2 p.m. Through Soul Out Ministries Jenkins has been able to organize the Thanksgiving meal. But before July 28 of this year Jenkins gave back to her fellow man through her job as bus driver. 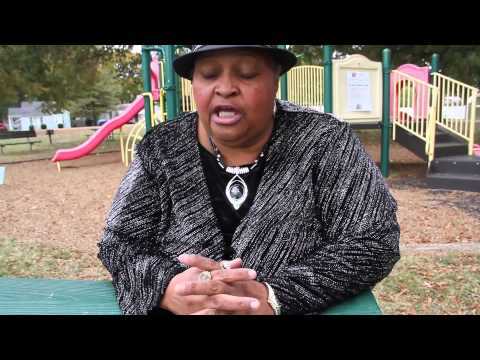 For 14 years she drove the “11 route” from Frayser to Northaven to South Memphis. Her job gave her the chance to counsel people and share her love for God. But it was more than a year ago Jenkins felt she got a clear sign from above to be more driven with her faith and give back. “I knew God had something for me to do,” she said. “Because in March 2012, I went to the doctor just for a routine check up. I just wanted to have a check up. And I had two blockages. I had to have open-heart surgery. From March 2012 walking around with no hurt or anything. Now the 58-year-old Millington native will be one of the caring faces on hand Thanksgiving feeding those in need homecook food. Jenkins emphasized she wants this meal to become a Thanksgiving tradition like her regular Thursday meals. Since July Jenkins has cooked food along with her 82-year-old mother Catherine Williams and 83-year-old God-mother Mary Montgomery. The meeting in Oak Park next to Baker Community Center grew from a one-time hot meal to a full outreach ministry. The little girl who grew up in a family of 12 started cooking for others at the age of 12. She raised three sons and now she is ready to assist a struggling mother, a man fallen on hard times or an elderly person in need of simple hot meal. “The need is growing in our city and we need to help these people,” Jenkins said. “It’s a great need in this city. We have people now who are elderly who come that come into the center on Thursday who need a hot meal. For more information on Soul Out Ministry or the Thanksgiving Feast, call 949-1675. To donate, send to Soul Out Ministries, P.O. Box 231, Millington, TN 38083-0231.